In this tutorial we will show you how to add a photo gallery to your WordPress website using the Lightbox Gallery plugin. 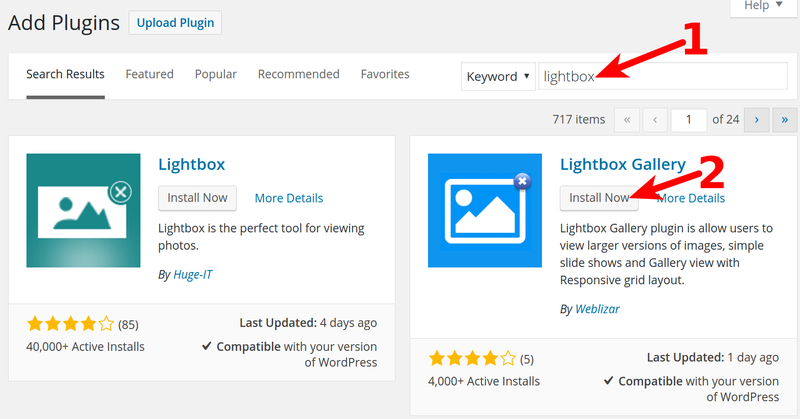 First, we will walk you through installing and activating the Lightbox Gallery plugin. Then, we will show you how to create a Gallery and add it to a Page/Post with a shortcode. Click Plugins in the navigation menu, then the Add New button. Type lightbox in the search box, then click the Enter key. You will see Lightbox Gallery listed, click the Install Now button. Click the Activate Plugin link when you see a message stating you "Successfully installed the plugin Lightbox Gallery." After installing and activating the Lightbox plugin, we will now show you how to create your gallery, and add it to a Page/Post. 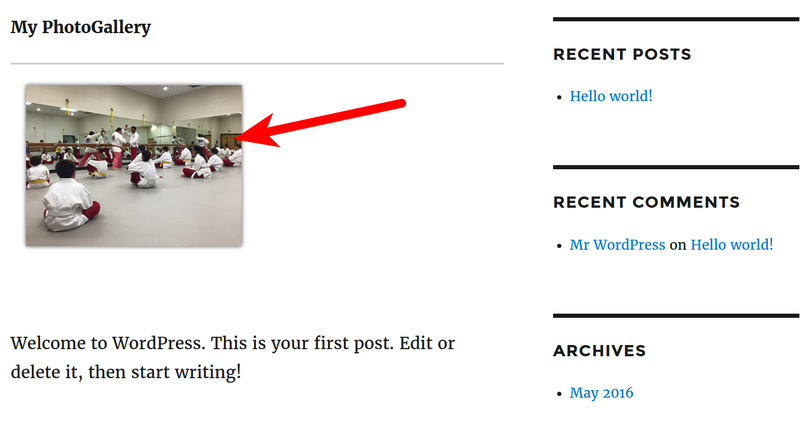 Log in to your WordPress Dashboard (if you aren't logged in already), then click the Lightbox Gallery link. Click the Add Lightbox Gallery button. Enter a title for your gallery, then click the Add New Images button to select or upload your images. Click the Select button when you are done. There are additional settings for the Gallery on the bottom of the page. Feel free to choose them as needed, then click the Publish button to create your gallery. You will then see a Post published message. 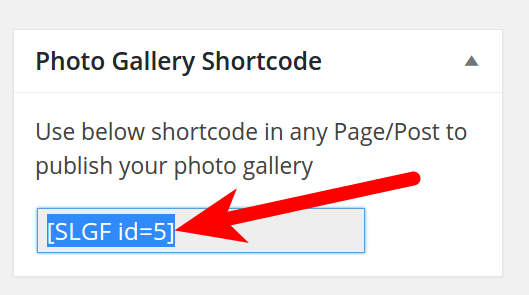 Copy the Shortcode in the Photo Gallery Shortcode section. Navigate to the Page/Post you want to add the gallery to, and open it. Paste the shortcode into the page, then click the Update button. You will then see your new gallery displayed on the Page/Post. 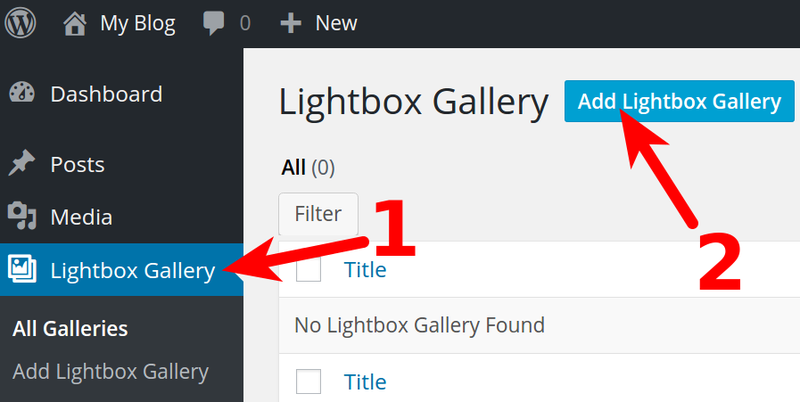 Congratulations, now you know how to add a photo gallery to your WordPress website using the Lightbox Gallery plugin!